Happy Friday and welcome back to another Stampin' on Friday episode...I so have been enjoying doing this series. It really gives me a chance to play with my stamps and try new things...Like a 5-1/2" square card. I've done 4-1/4" so it fits in a regular A2 envie but never anything this size. It was fun. For those of you new to my blog every Friday I do a video featuring some sort of stamping related project. 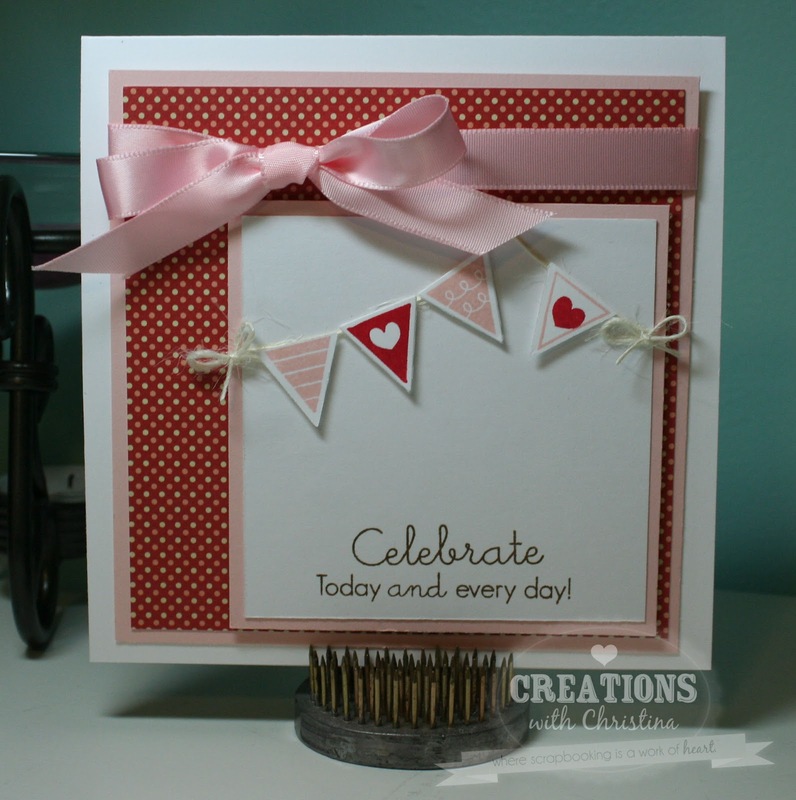 Generally it's a card but every once in a while I'll toss in something different...You can find all the Stampin' on Friday videos HERE or just click on the link up above. Thanks for stopping by, I hope you have a wonderful weekend. I'm happy to report that we are staying home and relaxing. The past few weekends it's been go go go so I'm very much looking forward to chillaxin' with my peeps. Hi Christina, I loved this card the colors are so pretty. Can you tell me where you got your stand for your card that you use when you photograph them . I am a big fan of your site and enjoy your videos immensely. You are such an inspiration! Oh, how I love this card! It is just so pretty and perfect! The stamp and die set is just so cute and worked perfectly. Very pretty! Thanks for the video! Thanks again for another beautiful card...I'm going to trying tying a bow upside down because yours is perfect! I just got this same stamp set in the mail this week. Can't wait to try something similar! Beautiful Card! Thank You! This card is one my favorites, so simple and so beautiful. Love the card, very cute and I love the colors too! That is the perfect card for summer. I love it. Christina this card is just beautiful! Has to be one of my favorites that you have done. I really love the banner and how you created the bows on the ends too. Very pretty! That is a very pretty card. Thanks for the ideas and the video!